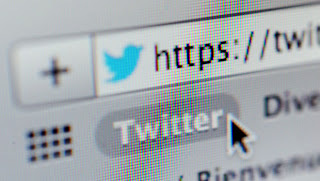 Twitter has decided to take drastic measures to enhance the security and confidentiality of its users’ accounts following the piracy acts on the Associated Press Twitter Account which happened on Tuesday, April 23rd. The social network is currently working on a new identification system in two stages. To access the platform, the user must have a password and a terminal associated with this account for security and confidentiality. Thus, the connection on Twitter will soon require identification of dual operation. Your password will be accompanied by a digital code that will be sent through SMS to your mobile phone. Indeed, this system will not stop cybercriminals but will make their task more difficult. This new security system with two factors, security, and confidentiality, should be made available by Twitter soon. It is actually already used in some countries, such as in France for purchases on the Internet (the system is called 3D Secure). Facebook, Microsoft, and Apple have also started using this dual operation identification mode. The best way to protect your Internet connection is to use a VPN service. The VPN reduces your online movements by replacing your routing information, through an anonymous IP address. Le VPN Secure DNS servers keep secret queries you make so that nobody can see your browsing history. Your computer is hidden behind the many VPN servers: when you are connected to Le VPN, no one can access your computer or your mobile device, without using the protected VPN servers. Finally, your Internet connection is encrypted with a very strong system that protects you from hackers and illegal ears trying to listen or obtain sensitive information about you.